Non-UK resident looking to retire or have retired offshore with a Shell Defined Benefit Pension Scheme? What scheme do you currently hold and what are the options available? 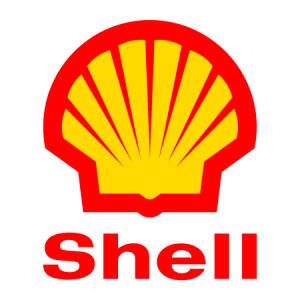 There currently have 3 shell pension schemes, dependant on the location that you work. From 1 April 2016, contributions to the SCPF are paid via a salary sacrifice arrangement (unless you act to opt-out). Under a salary sacrifice arrangement, you agree to give up (sacrifice) part of your salary, equivalent to the amount of your contribution. In return, the Company agrees to make your contribution on your behalf. The Company pays the ‘balance of cost’, which is the amount required in addition to your contributions and investment gains, to pay all benefits. This amount varies and is agreed between the Company and the Trustee, having taken advice from the SCPF Actuary. Under the current scheme rules, if you have retired and started drawdown on your pension, you no longer have the right to transfer to another provider. Can you transfer before drawdown? If the transfer value is more than £30,000 and you wish to transfer you will need to take independent advice about transferring your benefits out of the SCPF from an adviser who is authorised by the Financial Conduct Authority. Without getting advice the transfer cannot take place. Your Additional Voluntary Contributions fund can be transferred at the same time as your SCPF pension or on its own. If you have paid into the AVC. Are you currently living overseas and still have a Shell Overseas Contributory Pension Fund? Considering transferring before drawdown? What happens if you become ill before drawdown? If you become seriously ill you may qualify for ‘serious ill-health commutation’, which means that all your pension benefits may be exchanged for a one-off lump sum. What happens if you are to pass away before drawdown? If you die after you have left Shell, but before your deferred pension starts being paid, immediate pensions are payable to your Qualifying Spouse and Children). What happens if you want to transfer before drawdown? You may be able to transfer the cash equivalent of your SOCPF benefits. However, unlike the SCPF, the SOCPF is not an HMRC Registered Pension Scheme and restrictions may apply. The UKSPP is a “Defined Contribution” scheme, the Company pay money into your shell pension account each month and you have a choice of funds to invest in. The UKSPP is established as a Trust arrangement. Fidelity Worldwide Investments have been selected as the provider of management services for UKSPP. Fidelity provides investment management, benefits administration and member support for the UKSPP. What happens if you have left the scheme? If you leave the Company all contributions to your pension account will stop. What happens to the value of your pension account will depend on how long you have been a member of the Plan. At what age can you take drawdown? The earliest that you can consider taking your pension is currently age 55. Your retirement income will depend on the size of your pension account at the time of retirement. Can you transfer from the scheme? If the transfer value is more than £30,000 and you wish to transfer you will need to take independent advice about transferring your benefits out from an adviser who is authorised by the Financial Conduct Authority. If you do not get advice the transfer cannot take place. The scheme works the same way as Shell Contribution Pension Fund. Always seek advice from an experienced financial advisor before transferring a defined benefit scheme. Contact Harrison Brook today to speak with an advisor to discuss your options.